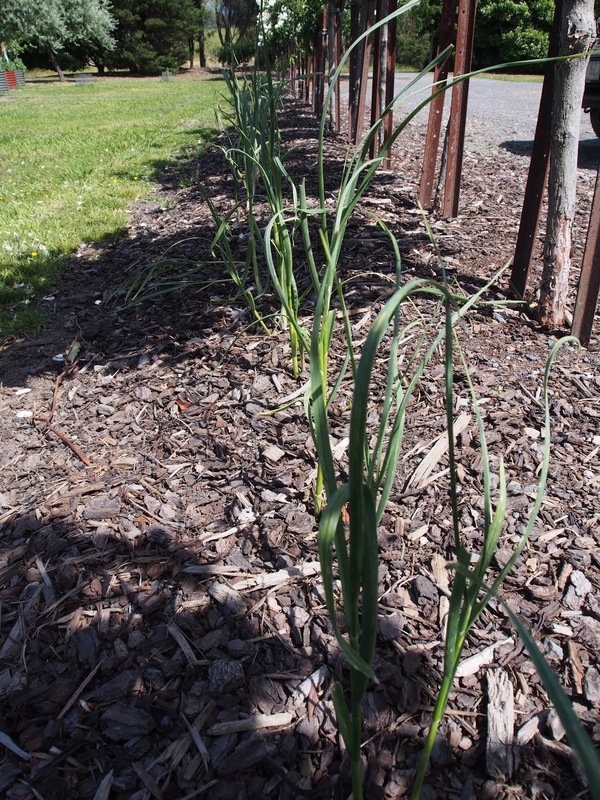 To recap, we planted a variety of garlic types in a variety of garden beds over several months, to see what would be most successful. Luckily I noted vaguely what types they were in the earlier post, because I didn't actually remember to write the details on all of the tags! So overall I think I've scraped a Pass for my garlic science experiment, but possibly only because we grew so much of it. I'm hopeful that we will have quite a reasonable crop, although many of the individual heads may be quite small. And at this stage I think that next year I'll try to get more of the local commercial grower's bulbs again as his garlic seems to be acclimatised to the local conditions. 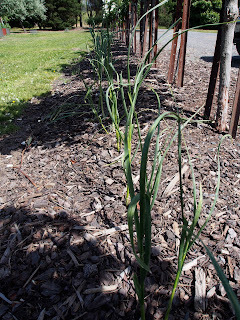 Has anyone else noticed particular conditions that your garlic has thrived in this year? Thanks for your great tips CVF. Focusing on the bulb growth, not the bits that you can see is an important reminder. We did read a tip to tie the stalks in a knot so that the energy goes into the bulb but I think we tried it a bit too late. And I didn't worry too much about the frosts as the plants seemed quite healthy, but perhaps that did have some impact. Mine did terribly.... the cloves I planted sprouted and then they seem to have just grown a bit bigger and not produced any new cloves :( I'm pretty sure they were just too wet from being in the main garden and getting over-watered when I got really keen with the sprinkler over winter. I'm thinking from your discussion above that I'm probably better off planting the garlic in separate containers, not in the main garden, so that I can control how much water they get. Thanks for this! I will get it right eventually! I don't know if the roses also help, because I have a friend at work who planted garlic too, and the extra cloves that she put around the roses are doing really well apparently! Good drainage certainly seems to be a key factor, but judging by the fact that everyone seems to have had really mixed results it still seems that it's a bit hit and miss! 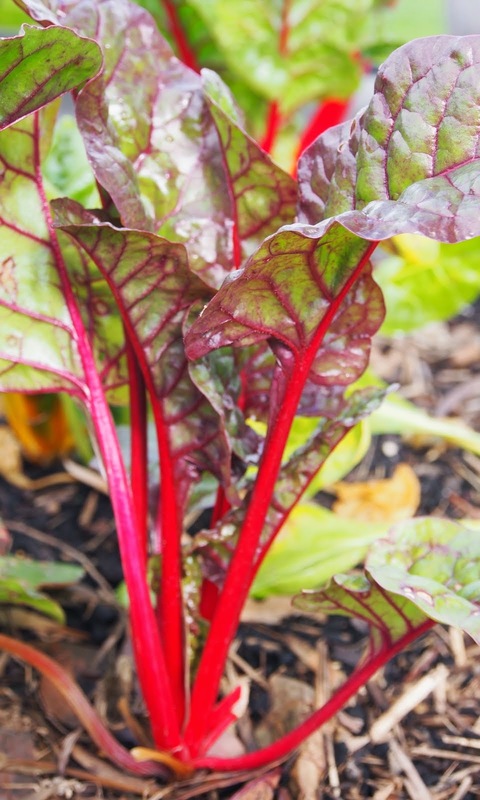 It will be interesting to hear if yours work better in pots next season. 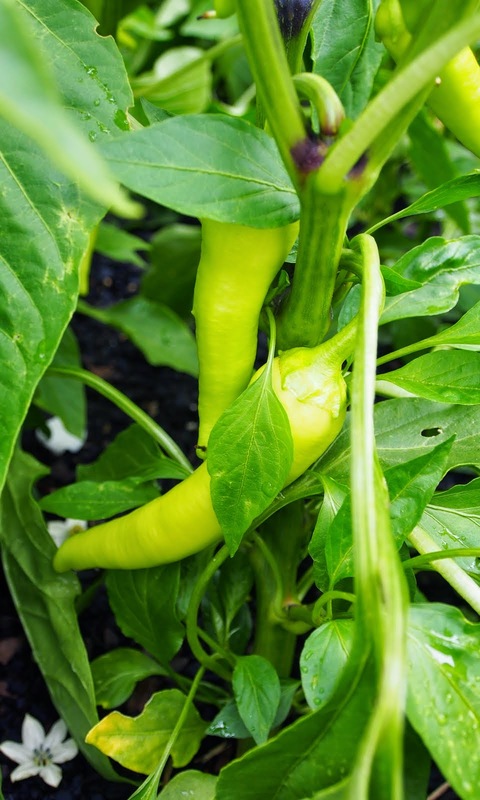 As for companioning planting, I read that garlic is supposed to be really good for repelling aphids, but the only plant in both the City and Country Gardens that have ever been attacked by aphids is garlic!! My hardneck garlic didn't do very well although there are some decent sized heads. They did the flopping slightly rotting stem thing you describe. My soft neck is still in and growing so I will reserve judgement on that at the moment. I was at mum & dad's yesterday and their hardneck is doing great - big fat heads, nice flowering stems etc etc. They aren't quite at harvest stage yet and already their heads are way bigger than mine. The difference between their place and mine are: their climate is colder by about 4 degrees on average. Their garlic gets full sun, mine gets about 6 hours per day. Dad plants his garlic as you would shallots with the tip of the clove at or just above soil level, mine were I planted as general advice - a few cms below the soil. I will check whether he specifically prepares his beds for garlic when I next speak to him, but he generally uses a lot of compost and the soil certainly isn't sandy. He gardens in raised beds. Not sure what all that tells you but it is interesting. Sounds like your Dad has it sorted! It would be great to hear of any special tips that he has. I wonder if planting the cloves at soil level makes a significant difference? And I've never yet had a plant that flowers. Does this say that I'm just pulling them out way too early, or do only specific types flower??? Have you considered growing Giant Russian Garlic instead? It is far easier to grow and more reliable than regular garlic as well as having huge easy to peel bulbs. Some of my cloves are larger than golf balls! The only down side is that it is a bit more mild than regular garlic. Botanically speaking I think it is a type of leek and not a true garlic, but my taste buds can not tell the difference. No I've never grown it but I'll check it out next year. Thanks for the tip! 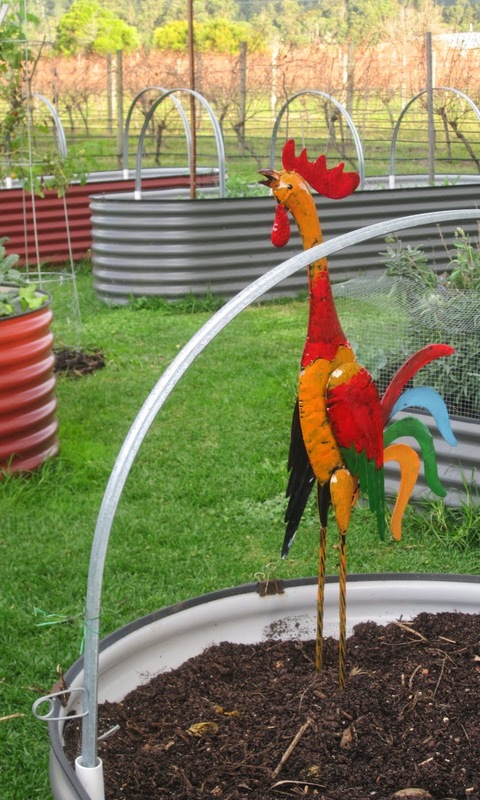 The City Garden Country Garden blog sets out to chart my experiences growing as much produce as possible between my own tiny city garden and the big country kitchen garden that I play in, as well as my learnings along the way about permaculture, delicious healthy food and sustainability. I also get occasionally distracted by sailing in beautiful timber boats! I hope you enjoy reading it. I'd love to hear your comments and have you follow to come along on the adventure with me. All content on this blog is Copyright (c). Please do not use images or text without requesting and receiving permission first via my email address below. Thanks!